Our signature truffle, made in honor of Lucianno Pavarotti, using his favorite flavors! 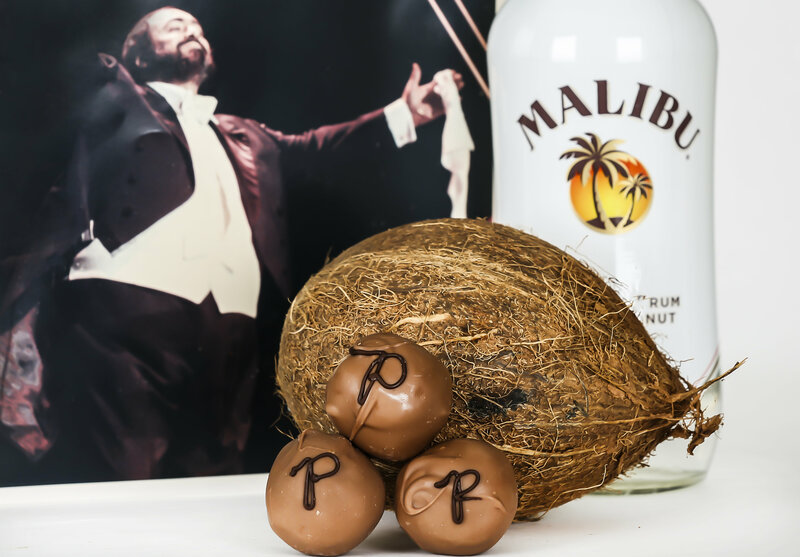 A delicate combination of milk chocolate, cream of coconut and Malibu rum. Enrobed in milk chocolate. Not guaranteed to make you sing better, but give it a try!